The film is Moneyball. Money Ball is directed by Bennett Miller (Capote) with a script by Aaron Sorkin and Steven Zillian. The film Moneyball is based on the book Moneyball: The Art of Winning an Unfair Game by Michael Lewis, author of another recently successful cinematic conversion, The Blind Side: Evolution of a Game. William Lamar Beane III was born in 1962 in Orlando, Florida. He grew up in San Diego, California. His father, a naval officer, taught him how to pitch and encouraged his athleticism, which led him to play baseball, basketball and football. Billy Beane decided that he wanted to focus on baseball during the end of his high school years, and despite this, Stanford tried to recruit Beane on a joint baseball and football scholarship. Stanford hoped that Beane could be their replacement quarterback for John Elway. Yet, Beane's dedication and being drafted by the Mets in 1980 led Beane to choose Baseball over Stanford. He would play in the minors while attending the University of California San Diego. At UCSD he would get his bachelor's degree in economics. The Mets earlier draftee Darryl Strawberry went straight to the majors, but Beane's ability didn't pan out as expected. Beane would make his major league debut in late 1984 with the Mets, and over the course of six years in the majors (playing for the New York Mets, the Minnesota Twins, the Detroit Tiger's and the Oakland Athletics's) would play as a reserve outfielders. The sustainability of Beane's major league baseball career was in jeopardy and his player career ended after 1989 season (his career batting average .219 with 66 hits), despite the fact that the A's won the world series in 1989. Beane did not play a single game in the world series. In 1990 Beane approached Oakland Athletic's General Manager Sandy Alderson during spring training asking for a job as an advance scout, and he held this position through 1993 when he was then given the position of Assistant GM to the A's in 1994. Major changes occurred in the A's in 1995 when team owner Walter A Haas Jr. died, and his high spending salaried where adjusted. New owners Stephen Schott and Ken Hoffmann took over as owners order GM Sandy Alderson to slash payrolls. Alderson and Beane worked together to make one of the most cost-effective teams in baseball using the baseball statistical analysist known as "sabermetrics" to try to determine empirically which players had the highest and lowest team value. In 1998, Sandy Alderson left the Athletics to work for the Major League Baseball commissioner's office as executive vice president for baseball operations. Billy Beane became the team's general manager during this transition. Billy Beane continued to run a lien team which had one of the lowest payrolls, but the highest success, particularly in light of the low payroll. In 2003, Michael Lewis' book, Moneyball: The Art of Winning an Unfair Game, focused largely on Billy Beane's lean financial strategies and success. In 2006, Beane's team was in the American League Division Series where they bet the Twins, but otherwise Beane's ability to have a winning season has been limited, and the team has not gone to the playoffs since 2006. One of the reasons some people believe Beane's team performance has decreased over the years is that other General Managers have begun to use similar empirical systems to value players. In 2007, Beane was given a position on the board of directors for softwear company, Net Suite, Inc, (NYSE: N). Beane was asked to join the company due to his ability to combine empirical data with instinct in buisness decision making functions. Beane's current contract currently extends to the end of 2012. He lives in California with his wife Tara, and their two twins. 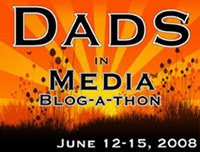 He also has a daughter, Casey, born in 1992 from his first marriage. The long awaited film project originally was to be directed by Steven Soderbergh with a script by Stan Chervin. Chervin continues to get story credit for the film, but the script was significantly re-written by Aaron Sorkin (who recently one the Oscar for his screenplay for the biopic The Social Network) and Steven Zillian (also an Oscar winner, he won for Schindler's List). 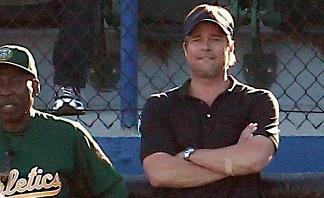 In the film, Brad Pitt plays Billy Beane as the general manager of A's. While Jonah Hill plays the part of Peter Brand, a finctional character based on Paul DePodesta who was Beane's assistant at the time Michael Lewis' Money Ball was written. Phillip Seymore Hoffman plays Art Howe (who managed the Oakland A's from 1996-2002). Baseball players portrayed in the film include Scott Hatteberg (played by Chris Pratt), David Justince (played by Stephen Bishop), Miguel Tejada (played former baseball player, actor Royce Clayton), and John Mabry (played by David Hutchinson). Child actress Kerris Dorsey plays Casey Beane and Cold Case star Kathryn Morris plays Tara Beane. Robin Wright Penn also appears in the film. Brad Pitt has received two Oscar nomination (Twelve Monkeys and The Curious Case of Benjamin Button). Will Pitt receive another Oscar nomination or perhaps even a win for his portrayal of this Reel (Real) Person?